Google-owned Nest gained notoriety for its smart thermostat, but Google's acquisition of Dropcam instantly catapulted Nest to the forefront of this product category. Nest has traditionally made very good cameras, and they come with a premium price tag to match. That's still the case with the new Nest Cam IQ, which packs a 4K image sensor, new software smarts, and a $300 price tag. You could get two cameras from another maker for that price, and I think most people probably will. However, the Nest Cam IQ is leading the pack when it comes to facial recognition and image quality. This might be the camera you've been waiting for in terms of features, but it also might be far too expensive as a long-term commitment. Video Very clear video with up to 12x digital zoom and HDR. Very short delay for live streaming. Night vision has good range and contrast. Audio Three-microphone array offers very clear audio. Delay is short for live streaming. Speaker facing backward, but seems plenty loud. Supersight Automatically zooms in and tracks movement. Reliably follows people around the frame. 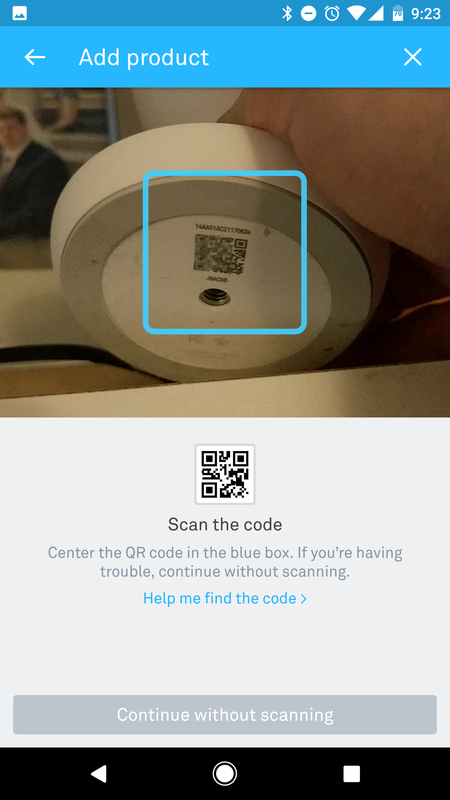 Setup Barcode scanning to set up camera is quick and easy. Facial recognition The Cam IQ can tell not just if it sees a person, but which person. App Nest's Android app is excellent. It's easy to navigate to old clips, control your cameras, and download videos. Cost The camera is $300 and does very little without the minimum $10 monthly plan. Facial recognition again Too many false positives. App again It bugs me there's no easy way to take a still photo. Supersight again Sometimes a little slow to respond. Tracking smaller objects is iffy. 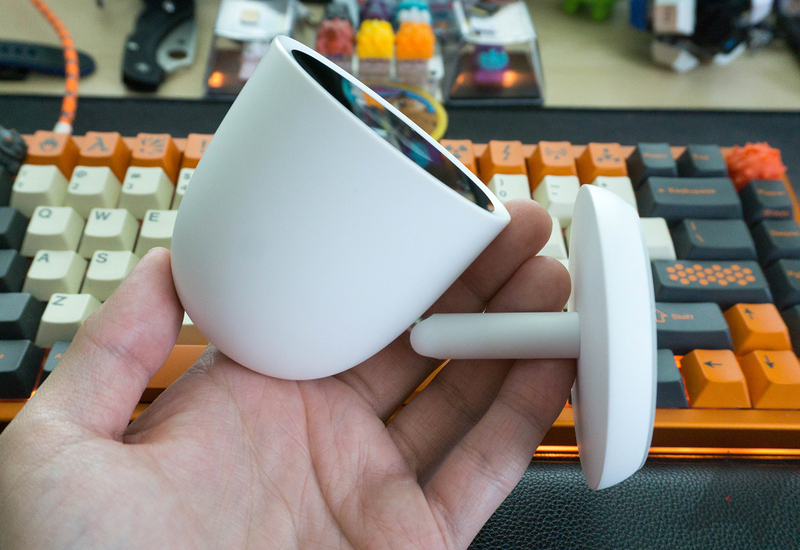 The Nest Cam IQ shares much of its design DNA with the Nest Outdoor Cam, which came out last year. The camera housing is bullet-shaped with a large flat face adorned with the camera and associated sensors. There's also a glowing ring to show you the Nest Cam IQ status (it seems to only light during setup and if it's disconnected). The camera sits atop a tall stalk connected to the flat base. This helps the camera peek over obstacles if you choose to place it on a table. The stand is also adjustable to a greater degree than a lot of cameras. It can be placed on a high shelf and point downward to see the room below. The camera is powered by a USB Type-C cable, and there's no internal battery. I'm disappointed about that because it is handy to grab a camera and set it in a different place for a couple hours. It makes sense when you consider how much this camera is trying to do, though. It would need a big battery to be useful for long, and that would add to the cost substantially. The camera is only for indoor use, too. Setting up the Nest Cam IQ is identical to any other Nest cameras—it's quicker and easier than most other cameras I've used. Simply open the Nest app on your phone, launch the new camera wizard. 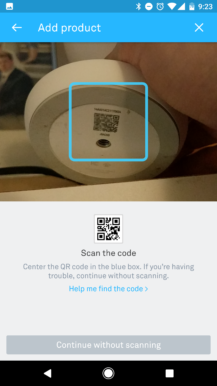 You'll scan the barcode on the underside of the camera with the phone, and it connects to your WiFi. It took me under a minute to get the Cam IQ running and added to my account. The Nest Cam IQ is a wired device, so it doesn't have to be shy about using power. Some cameras that need to sip on a battery for weeks or months are slow to respond and have compressed video. The Cam IQ is fast to connect and the daytime video looks crisp, and it has HDR support to even out the exposure. It's probably the best video I've seen from a security camera. You just need to put it someplace with a power outlet, but it comes with a nice 3m Type-C cable. The full frame is 130-degrees, which is about average for a high-end security camera. It'll cover an entire room easily if placed in a corner. Distortion at the edges of the frame isn't bad, either. Opening the Nest app, you get video live from the camera in about two seconds. The delay between real life and the camera feed is about the same. All the video captured by your camera is also end-to-end encrypted. See below for a sample of the Cam IQ's video. Zooming in does not reduce the image quality as much as you'd expect thanks to that 4K sensor. Things get blurry with most other cameras, which only have 1080p sensors. The Cam IQ won't actually output 4K video, though. The higher resolution zoomed images are ideal here because the camera can detect faces. So, you'll get a zoomed image of any person passing through the frame, and you can actually tell who it is. The Cam IQ also has a very bright IR lamp for night vision. It illuminates all the visible space in each room I tested, and video has excellent contrast. 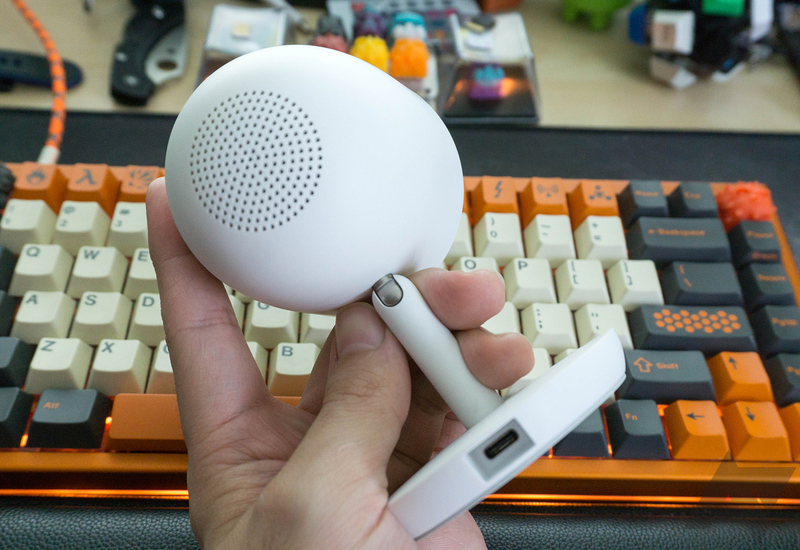 There are three microphones and a speaker on the Cam IQ so you can use it as an intercom. 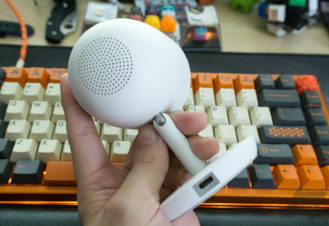 The speaker faces backward, which is a little odd. It's loud and clear enough, although I have the camera near a wall. Some of the sound is probably being reflected back into the room. If you have open space behind the camera, it might not be as loud. Regardless of where you put it, the sound delay is around a second. That's faster than most other cameras. The Cam IQ has a three-microphone array, which is not present in other cameras. As a result, sounds are recorded with higher fidelity and the live audio is easier to understand. Nest hopes that the unique features of the Cam IQ will help to justify the price tag. This is the only home security camera you can get with facial recognition. 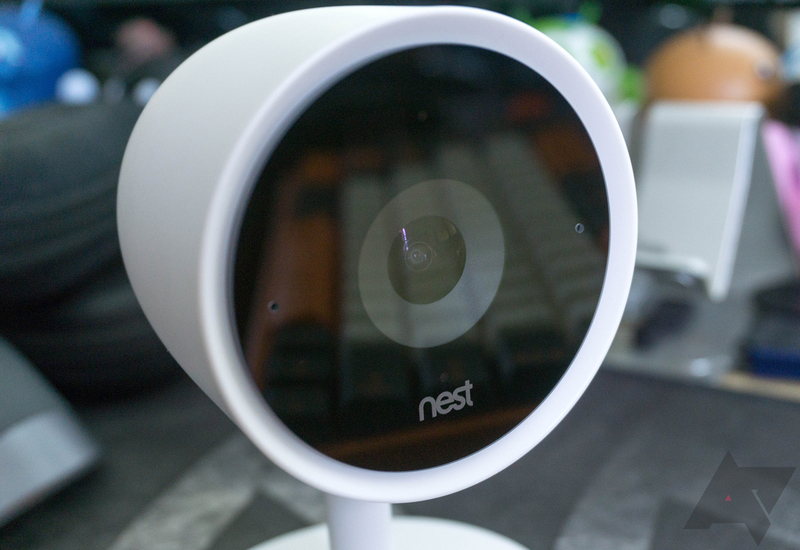 It also zooms in on movement with the aid of that 4K image sensor, which Nest calls "Supersight." While the video output is only 1080p, it's basically using all those extra pixels to improve digital zoom and make facial recognition possible at a distance. Watching the Cam IQ zoom in and track movement is a really cool experience... mostly. It tracks humans very well, but I've found that my dog can run out of frame too fast for the camera to follow—it ends up zooming out and back in. A dog-sized child might result in similar behavior, but I don't have any of those to test. It sometimes takes the camera a second or two to respond to movement, but you can make out what's going on when it zooms in. One of the things that will get the cameras attention is a human face, and this feature has been a little less reliable for me. When the Cam IQ sees a new person, the app can be used to give that person a name. Thus, notifications from Nest won't just say a person has been spotted, they'll say Bob (or whoever) has been spotted. Oddly, the exported videos from your Nest account don't include Supersight zooming. They're just the full frame. You need to use Nest's app or web interface to get that. See the video below for an example of Supersight in action. Keep in mind this is a screen capture from my phone. The quality is not completely representative of the camera's video, so see above for the same video clip exported from the app. The Cam IQ has been good about picking the right face, even when partially obscured. However, there are a lot of false positives. There have been several times when I was away from home, and Nest alerted me to an unfamiliar person in my office. That's a rather alarming prospect, but upon checking the video, I saw it was merely a blanket on the couch that the Cam IQ thought looked like a face. It also asked if the dog was a person. Clearly some adjustments are needed here. The Nest app is one of my favorites of all the camera apps I've used. The scrollable timeline works well, and it's fast. Nest's notifications are also fantastic—you get a little animated GIF in the notification showing you what the camera saw. 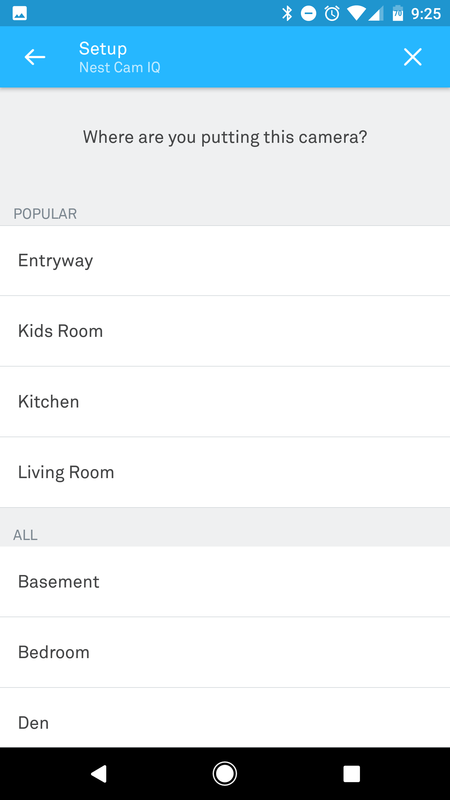 If you've got other Nest things, they all play nicely in the same app. You can use multitouch to zoom manually on the Cam IQ camera feed and lock the digital zoom if you want. 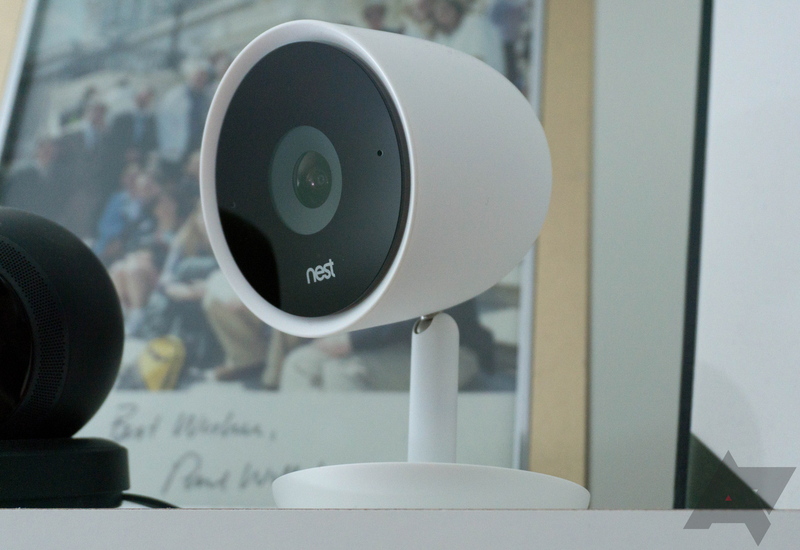 Like other Nest cameras, the Cam IQ supports activity zones, timelapses, and video exports. You only get these with Nest Aware subscriptions, which are pricey. It's $10 per camera each month for 10 days of storage and $30 each for 30 days. Both plans come with the advanced features. In the case of the Cam IQ, you get person detection free, but the face detection is part of Nest Aware. Nest's free tier is the least useful of any camera I've tested. You don't get any video storage; not even a measly 24 hours. Your notifications just link to still images of the camera feed, and those are only available for three hours. 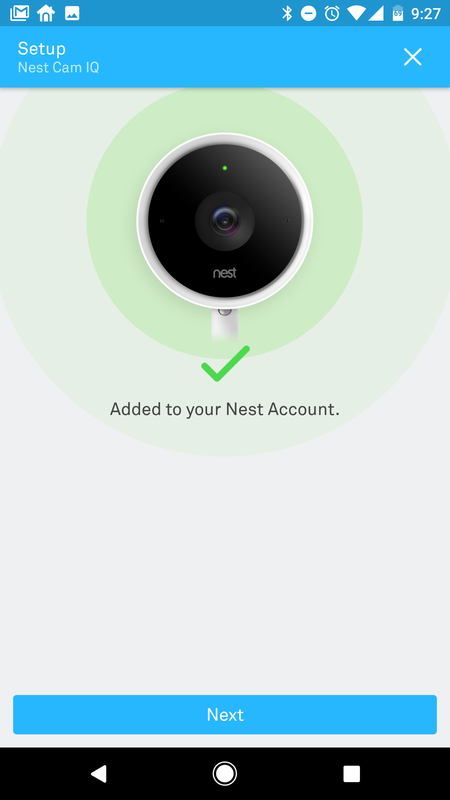 You can check the camera feed live at any time, but come on, Nest. There's no support for local storage, which is really the default for home security cameras now. The only big player doing local storage is Arlo, which lets you plug a USB drive into the Arlo hub. The Nest Cam IQ is light years ahead of every other product on the market when it comes to fancy smart features like facial recognition and zoom control. 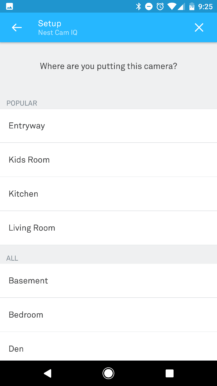 Nest's app is also excellent thanks to features like animated notifications and reliable home/away assist. However, the Cam IQ seems too prone to false positives when searching for faces. I suppose it's better to be too sensitive than not sensitive enough, but still—getting a ping that someone is in your house is worrying. While the Cam IQ is a powerful device, it's also more expensive than other cameras. The hardware costs you $300, and it's almost useless without a paid Nest Aware account. Without that, the camera won't save any video. It's just live video and still photos of events for up to three hours. The $10 monthly subscription is a per-camera fee, so you'll have to pay individually for each device on your account. That's only the base plan, too. It comes with the advanced features like familiar face detection, activity zones and so on. However, the storage limit is just 10 days. If you want a month like most camera makers offer, it's $30 per camera. If money is no object, the Cam IQ is the best you can get. But let's be honest, the price is important. If you want to pick up a Cam IQ, it's available at most retailers like Amazon and Best Buy, and from Nest itself.